Whether you travel to Vienna because of art collections, museums, architecture or shopping we definitely recommend to leave your car at home. You can enjoy the Austrian metropole without the need to find a parking lot in a much untroubled way. Further, if you send a request for a luxury limousine on taxi Bratislava Schwechat with a gallant driver, you can tune yourself into the atmosphere of this lofty seat of the imperial family shortly after the start. 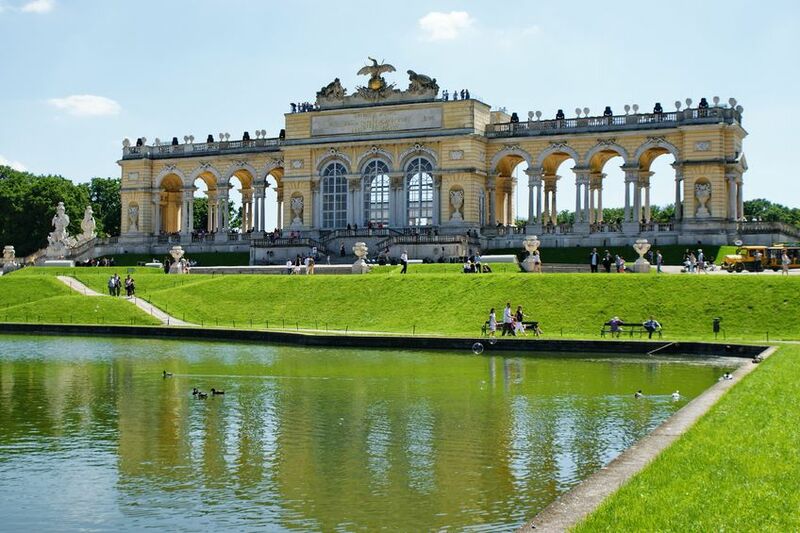 The oldest ZOO, the most precious graphics collections, one of the largest cultural premises, one of the most beautiful baroque areas, one of the highest churches, the oldest amusement park – all this are superlatives connected with the Viennese attractions at global level. Before starting the presentation of the most important ones let us introduce one more top: Vienna has one of the most sophisticated transport systems in Europe. Another reason not to drive here with own car. One of the most beautiful baroque premises in Europe attracts the most visitors of Vienna every year. The former summer residence of the Habsburgs where Wolfgang Amadeus Mozart – as a 6-year-old boy – exhibited his virtuosity has 1441 rooms (45 are open to public). In 1752 the oldest currently still operating ZOO in the world was opened here. Already three panda cubs sired in a natural way in the ZOO were born here and rare animals and runs appear annually, while the historical features of the ZOO remain untouched. Thousands of people stream to the oldest amusement park in the world from March to the end of October – not only because of the 250 attractions but also due to relax on the sports grounds and in the recreational premises of the park with the acreage of 600 hectares. Since 1766, when Joseph II. donated this area to the Viennese people, carousels, mazes, water slides or roller-coasters have appeared in the area including the highest chair-o-plane with its height of 117 metres. Riesenrad – the most popular attraction of the park - has been twisting here since 1897 with the speed of 75 centimetres per second. There is no postcard of Vienna that wouldn´t contain the picture of this most important gothic building of Austria. 343 stairs (there is also a lift) lead to the beautiful view on the city, however, Stephandsdom (St. Stephen's cathedral) got among the highest cathedrals of the world thanks to its southern tower with its height of more than 136 metres. However, the largest of the 13 bells, the so called Pummerin, hangs in the northern tower and it is the second largest church bell in Europe. The Dome stands on the Stephansplatz square at the meeting point of the two main streets of shopping fans: streets Graben and Kärtner Strasse. If you travel to Vienna because of art you should really reserve a lot of time. The Albertina Gallery houses one of the most precious graphics collections and it should by far not be your only stop. You definitely should not miss the Kunsthistorisches Museum, Belvedere or Kunsthalle in the MuseumsQuartier that is a city district that belongs among the ten largest cultural areas in the world. Out of a large number of museums that are worth visiting we want to mention at least the Josephinum museum of medicine with 200 years old wax models of human organs, Haus der Musik where you shall get acquainted not only with history but also with the future of music, you can compose your own song or you can test the resistance of your ears, the Sisi Museum of Empress Elisabeth in Hofburg the thesaurus of which shelters also the imperial crown of the Holy Roman Empire from the 10th century or the Natural History Museum the collections of which began to emerge in 1750. If you like to observe the sights with the addition of adrenaline you should certainly not skip the visit of the Donauturm – the highest Viennese building where you can enjoy the view on the city together with the delicatessen of the local restaurants or in combination with free falling from the height of 152 metres. This is because, in case of favourable weather and in selected times, Donauturm offers also bungee jumping. The nearest time is between the 7th and the 8th of May. Naming all the interesting places in Vienna is as onerous as selecting the most attractive ones from them. You can admire them during a walk (you can walk across the centre in a few dozens of minutes) or from a cab (fiaker) (the coachman will also provide you guided tour) or on a bike (there are approx. 700 km of cycle routes in the Austrian metropole). Safe transfer between Bratislava and Schwechat will be provided for you by: http://www.bratislava-airport-taxi.com/sk.